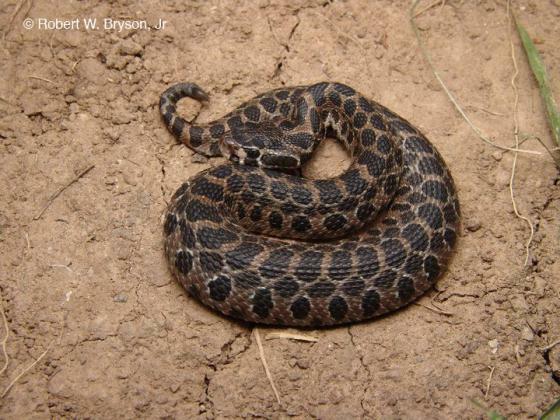 Can you confirm these amateur observations of Crotalus polystictus? Distribution C Mexico (from S Zacatecas and NE Colima to EC Veracruz, Aguascalientes, Morelos, S Durango, Jalisco). Elevation: 1450-2600 m.
Type locality: "Table Land, Mexico." A proposed restriction to "Tupataro, Guanajuato, Mexico" was made by Smith and Taylor (1950:330). [However, type-locality restrictions other than those dealing with type- designations (i.e., lectotype or neotype) have no status under the International Code of Zoological Nomenclature. Types Holotype: nondesignated, according to Klauber (1972:45), cited in McDiarmid et al. 1999. Opinion 366 (ICZN, 1955, Opinions Decls. 11(16):231-244) validated the more generally used Cope name polystictus for this species and suppressed the older Jan name multimaculatus.